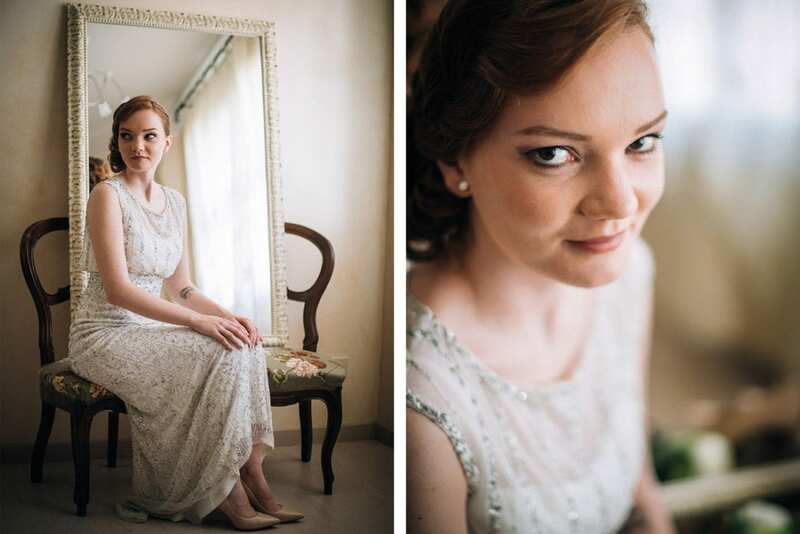 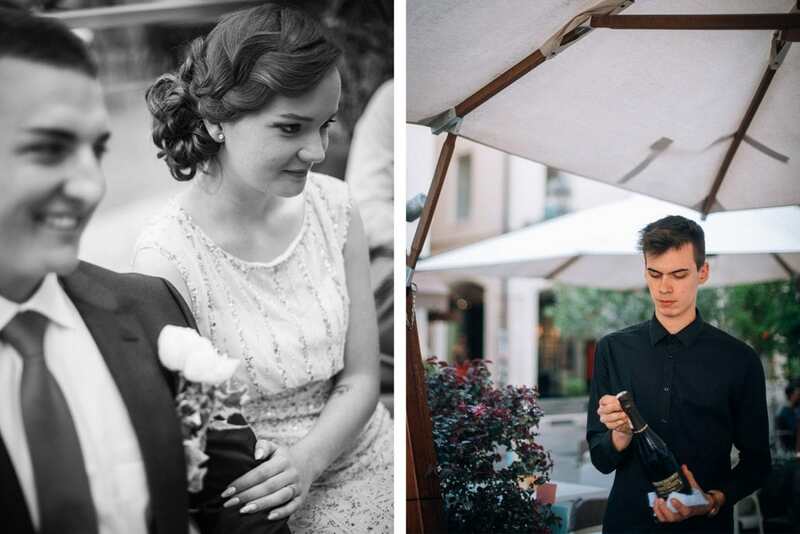 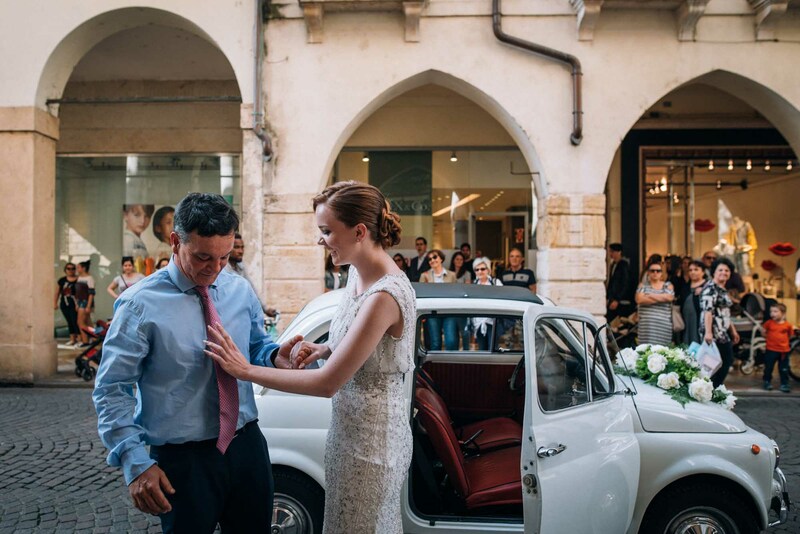 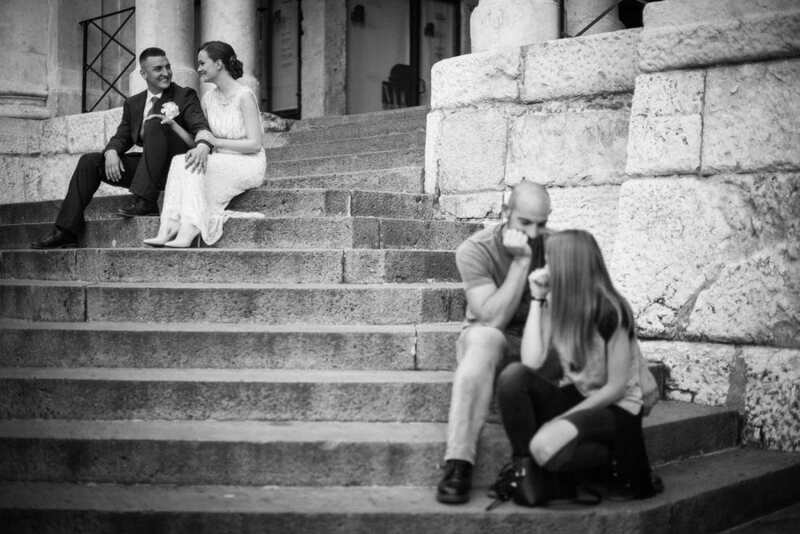 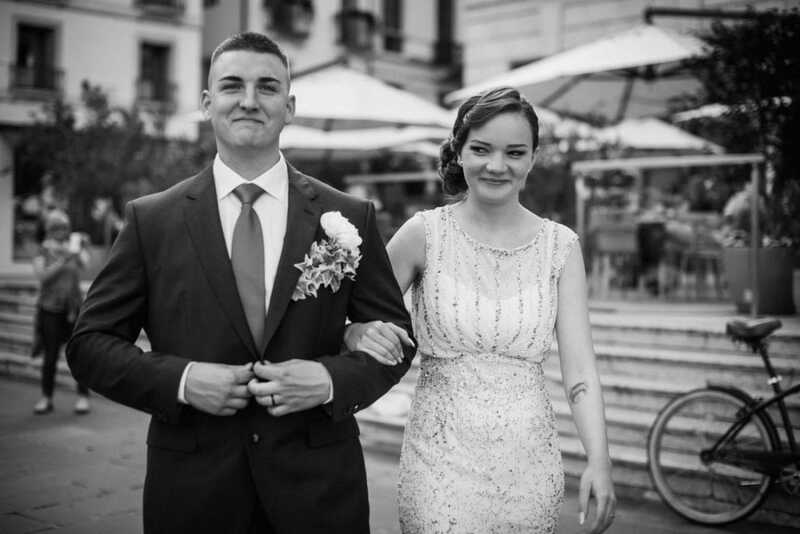 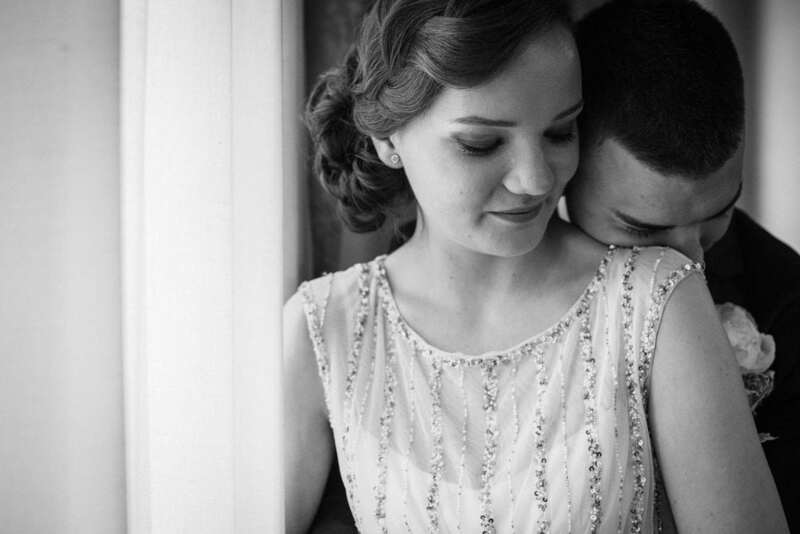 A young, beautiful couple for a stunningly romantic elopement wedding in Italy. 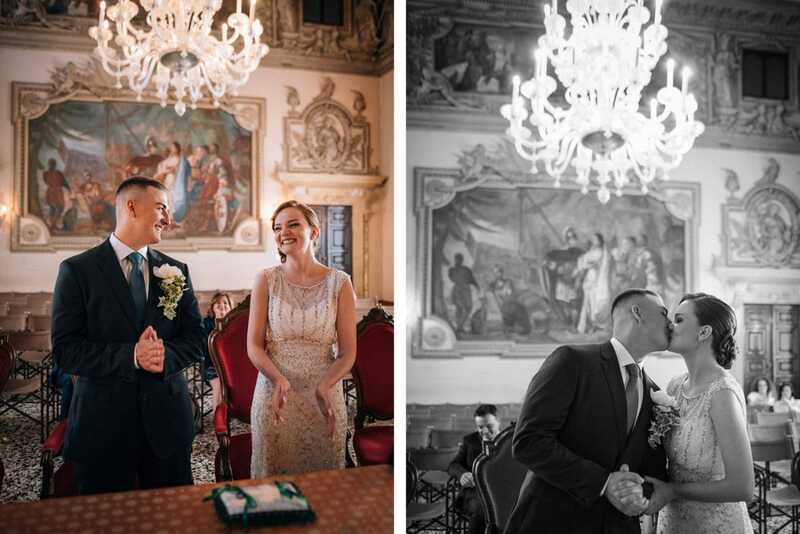 Aurora and Nick’s wedding was also featured in the most famous Italian wedding Blog, Wedding Wonderland – it’s always lovely to be featured there! 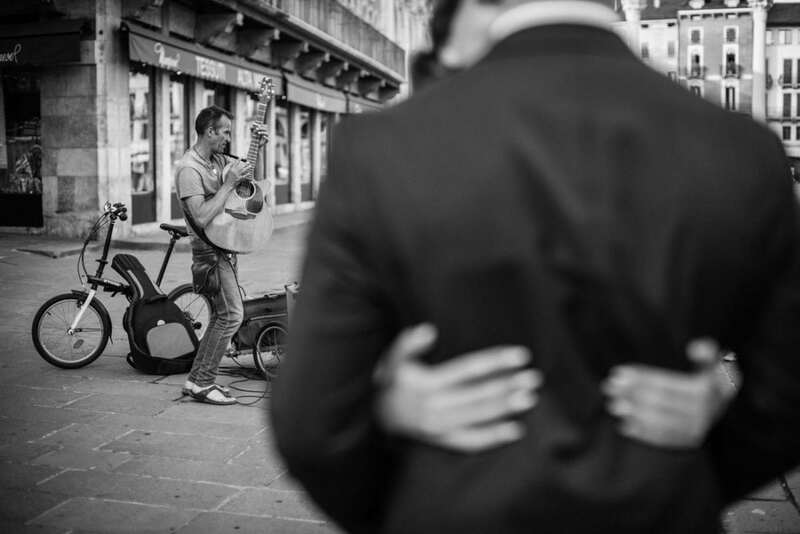 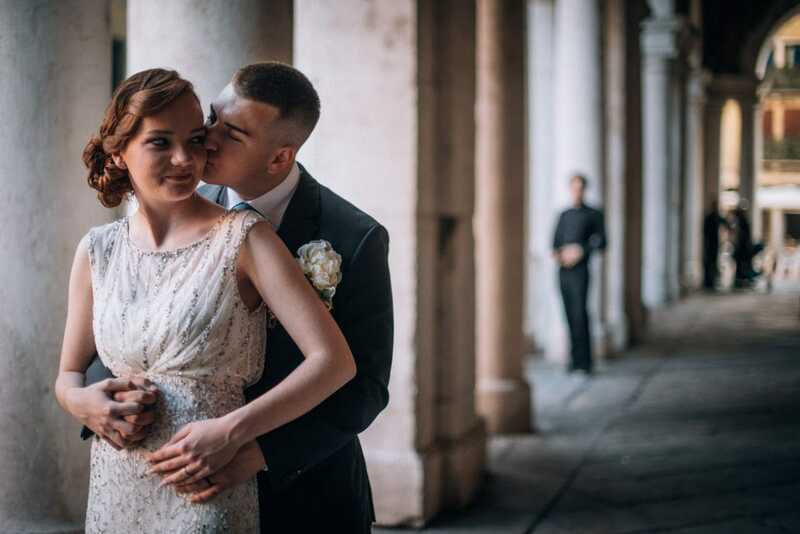 Couples deciding to elope are growing more and more around the world, and I totally support this idea: very few guests – sometimes the bride and groom only – and a wedding day completely designed on the couple. 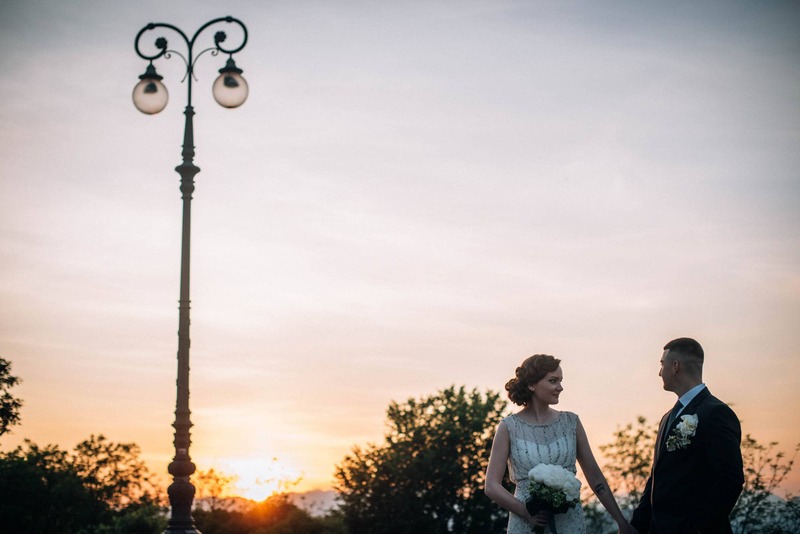 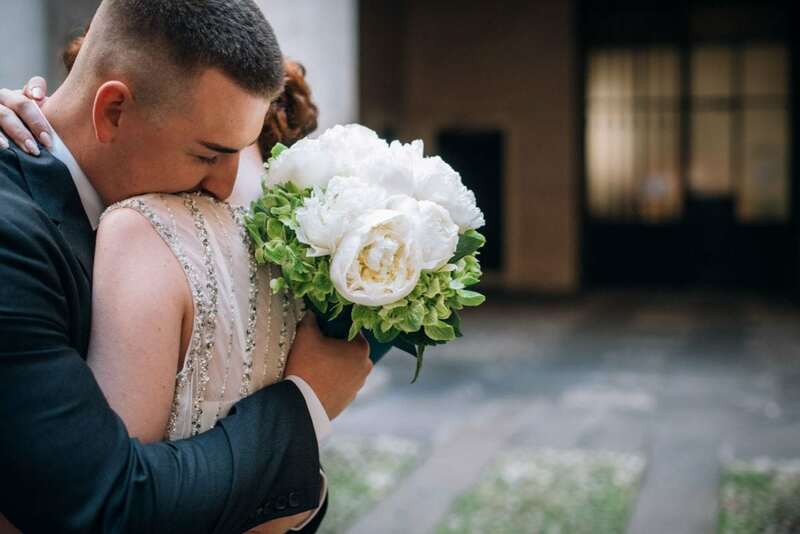 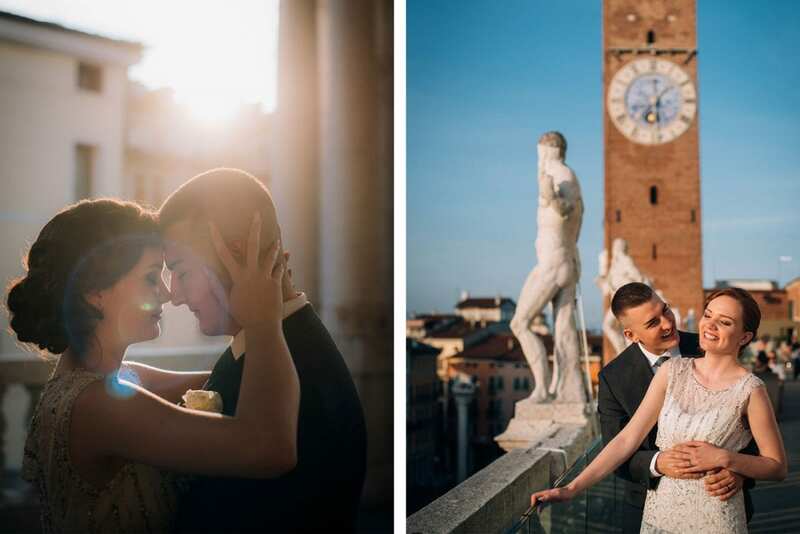 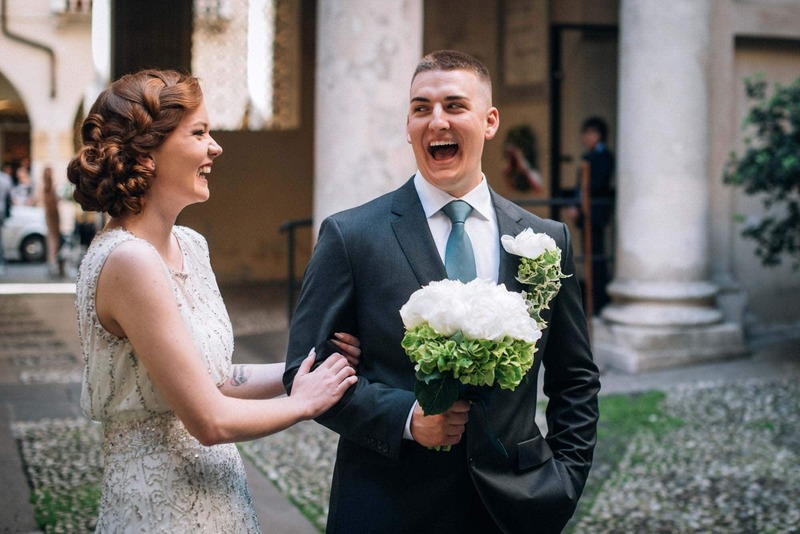 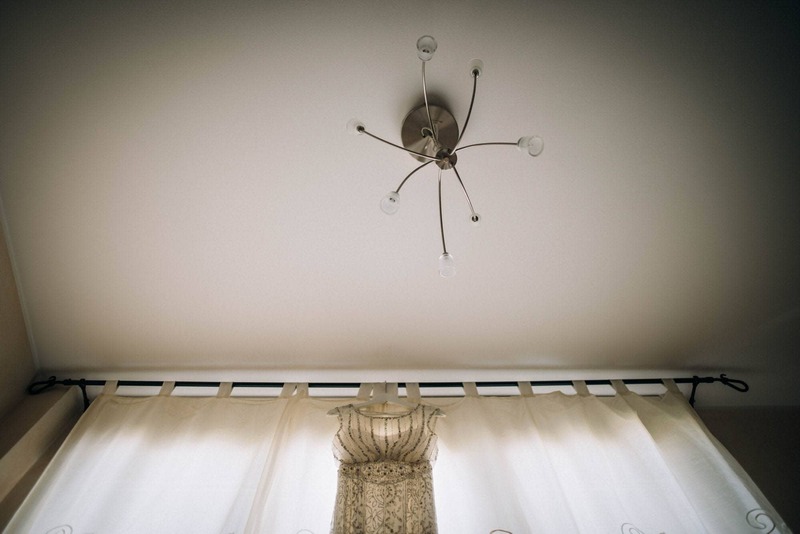 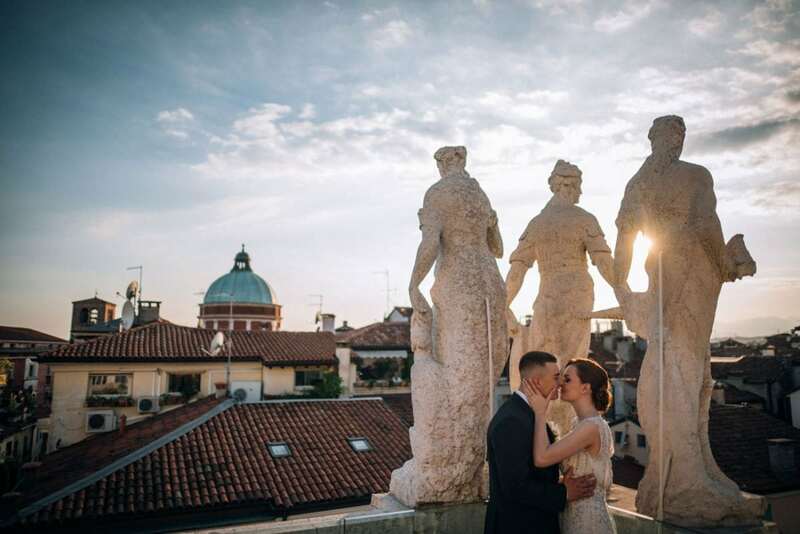 The city this couple chose for their elopement is quite an unconventional choice – they decided to get married in Vicenza, the Palladian masterpiece, a small, beautiful city in Veneto. 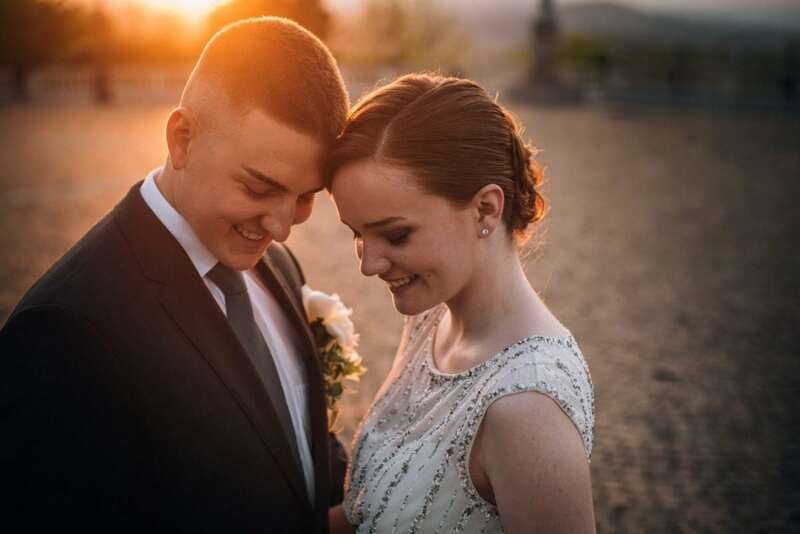 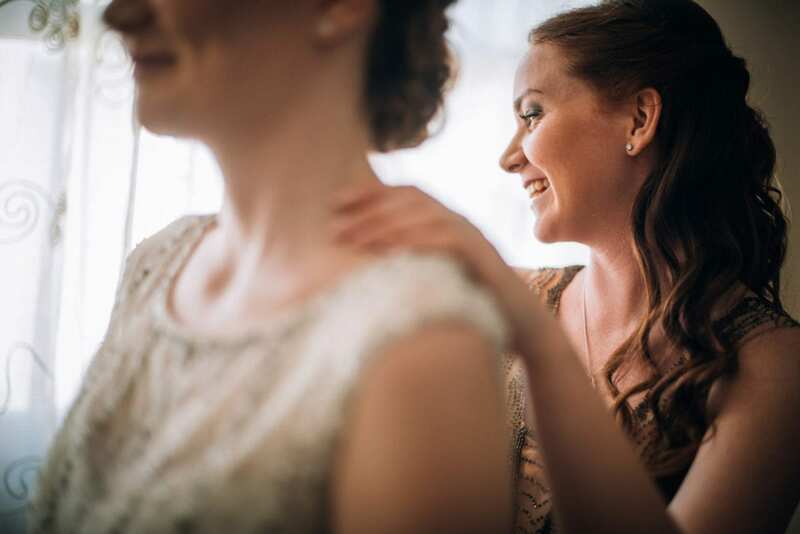 Even though there were only the two of them, her parents, her sister and her best friend (plus his mom via Skype), Aurora and Nick planned every smallest detail to be as beautiful as possible. 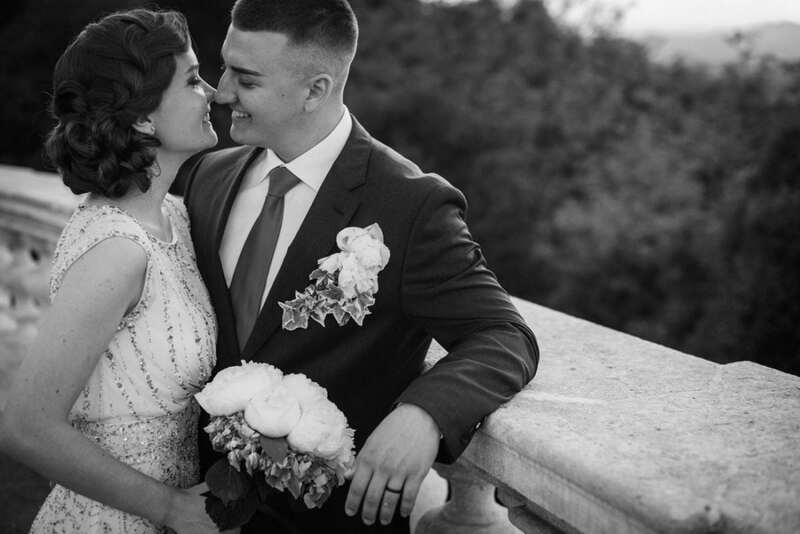 With a 30s-style wedding dress and a whole green flower setting, they made their dream of love come true in the most romantic way possible. 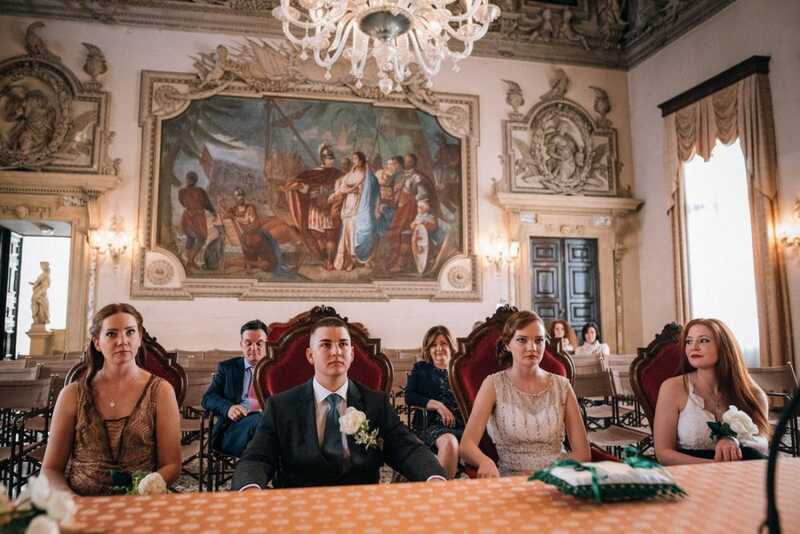 Both Aurora and Nick got ready in the same house, yet separately. 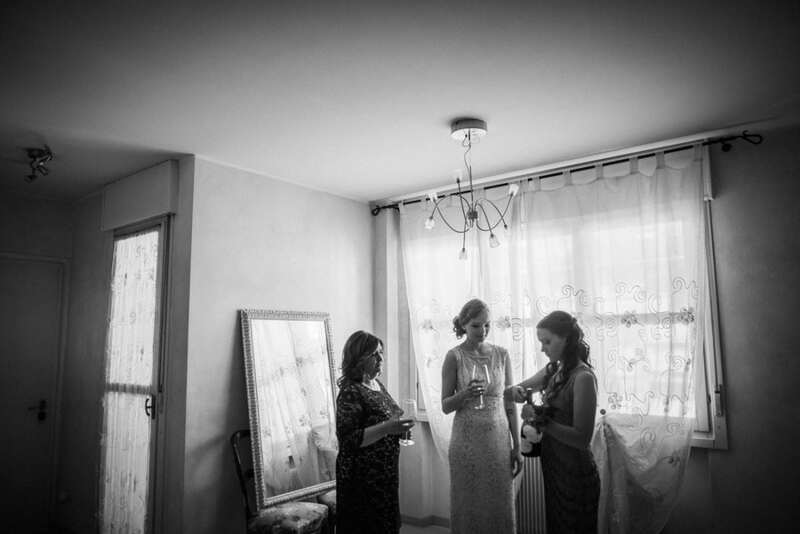 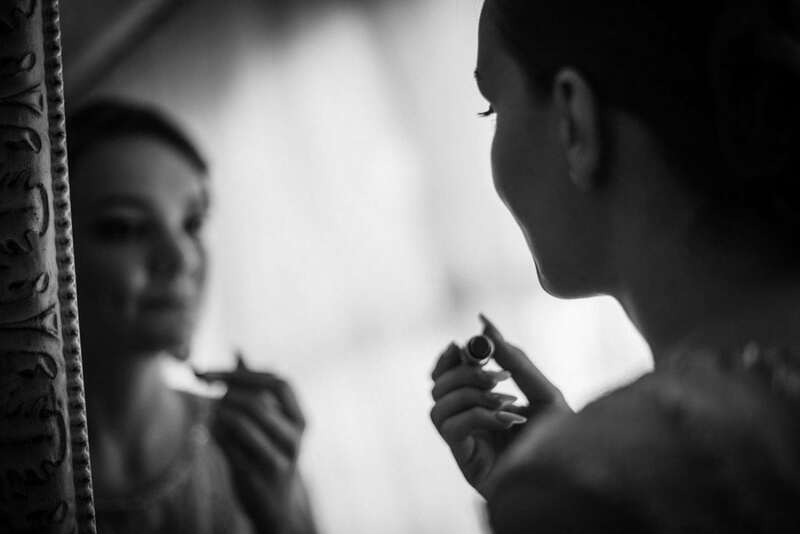 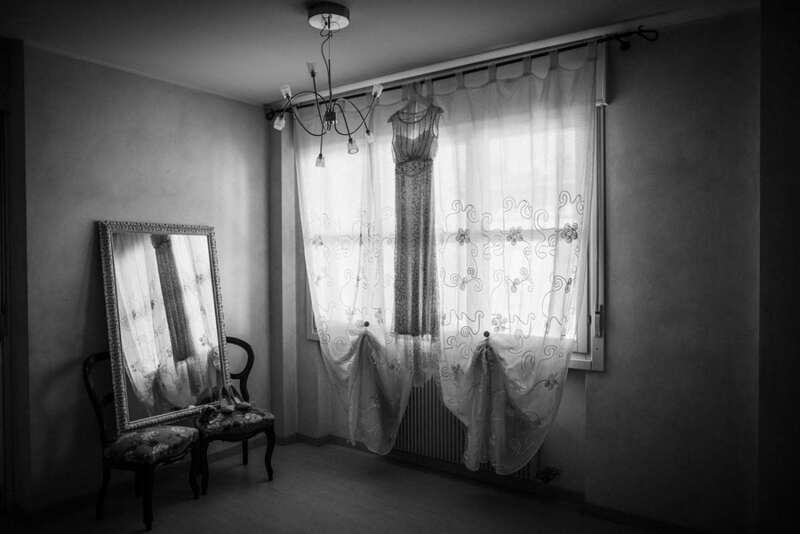 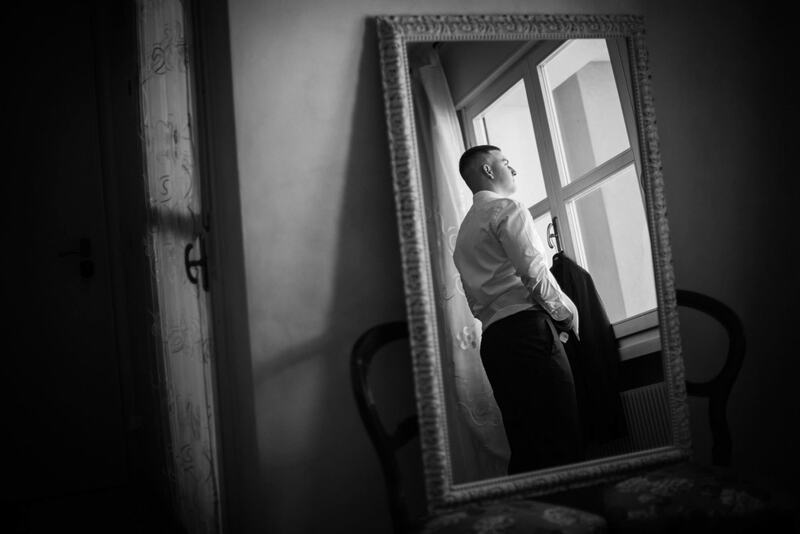 The room was perfectly set for their getting ready: a large mirror, a big window, sometimes little details can get a wonderful result! 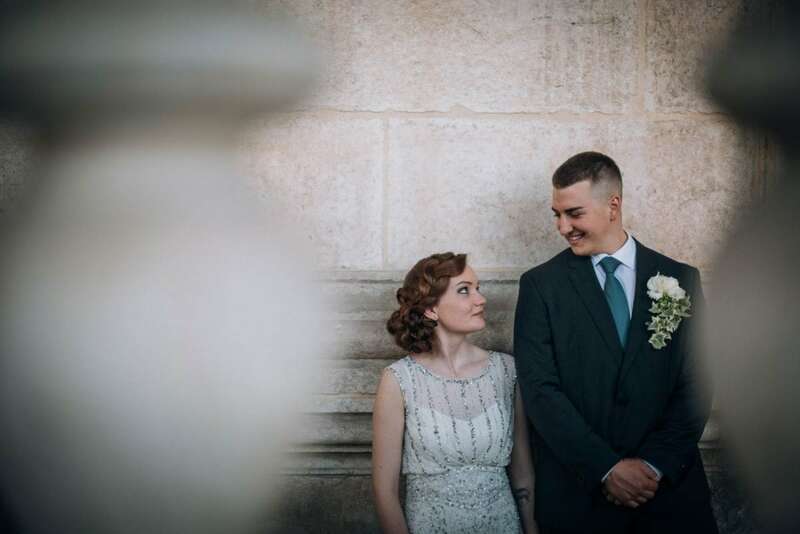 Aurora and Nick didn’t see each other while getting ready. 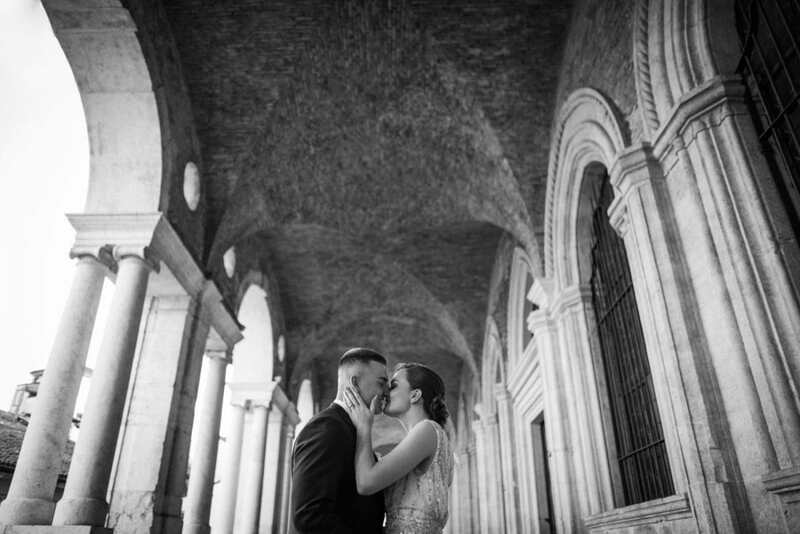 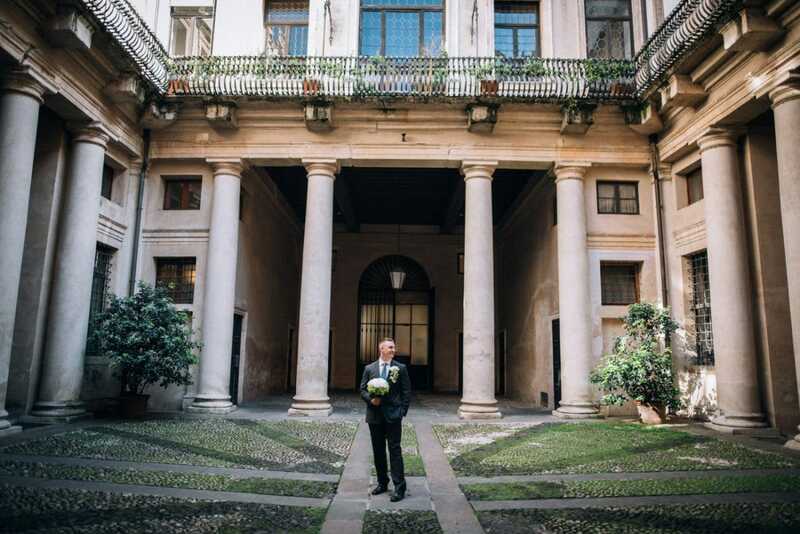 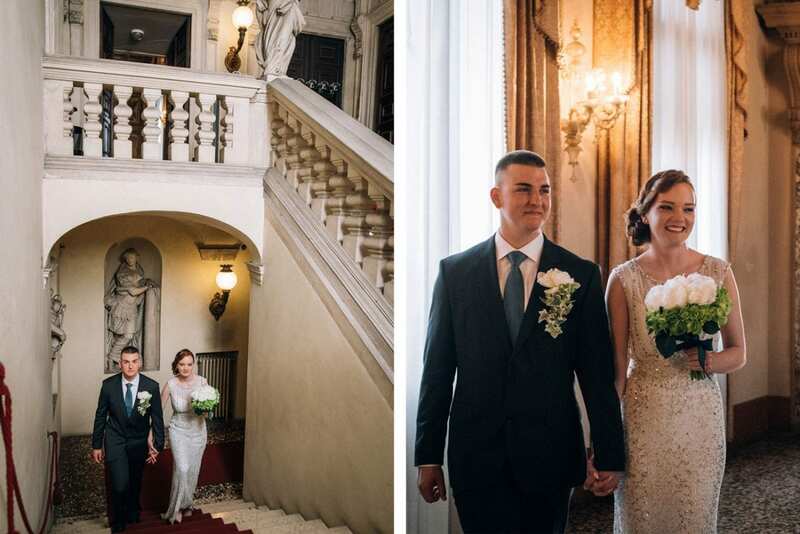 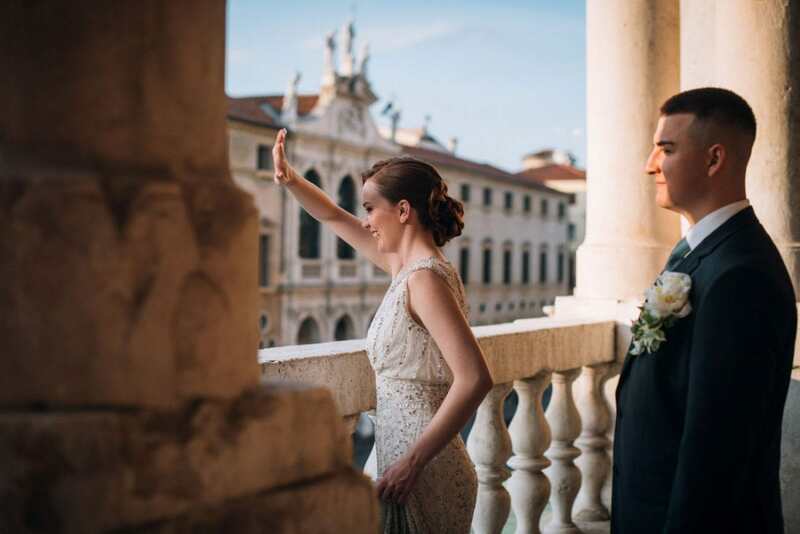 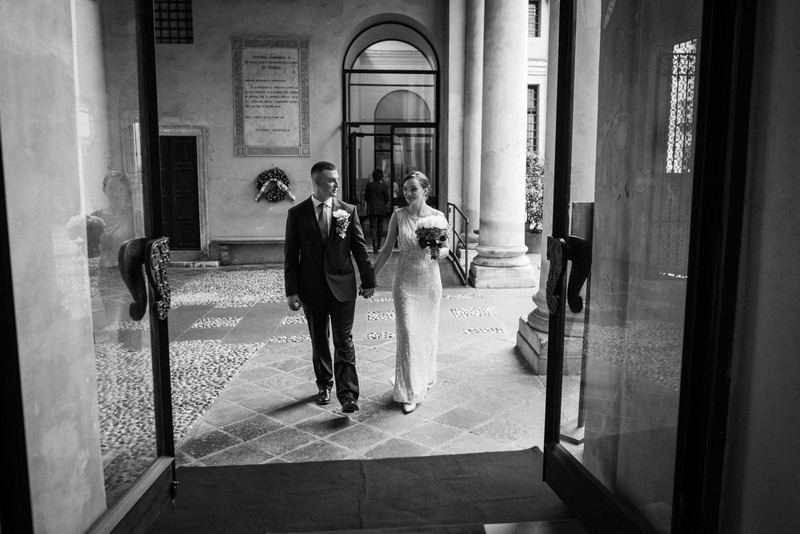 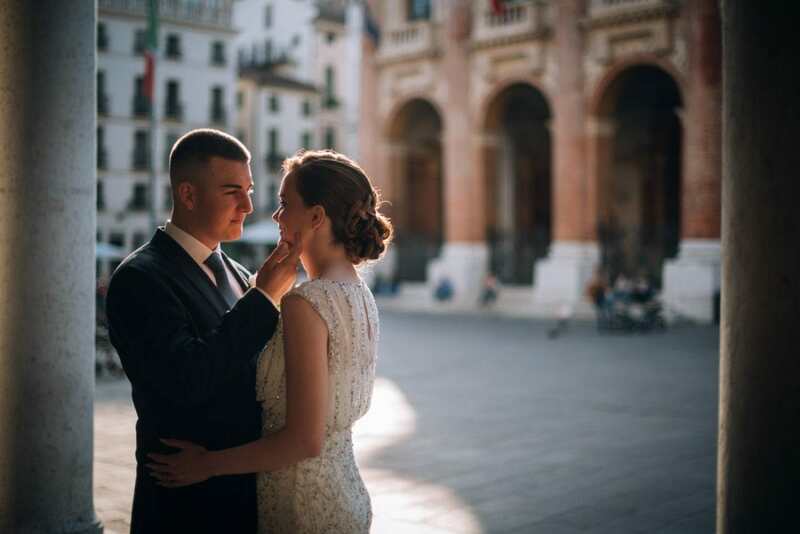 They had a romantic first look in the small square of the palace where they celebrated their civil wedding, the beautiful Palazzo Trissino in Vicenza. 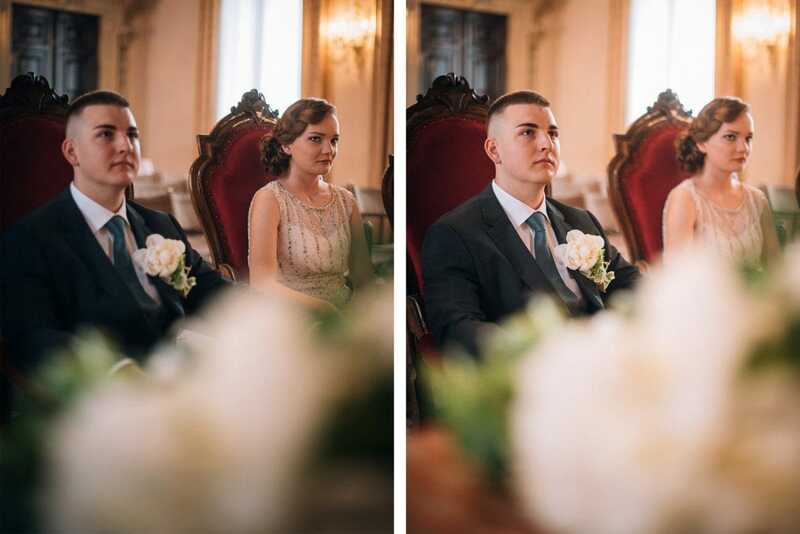 The look in their eyes was unforgettable: fun, excited, and so emotional! 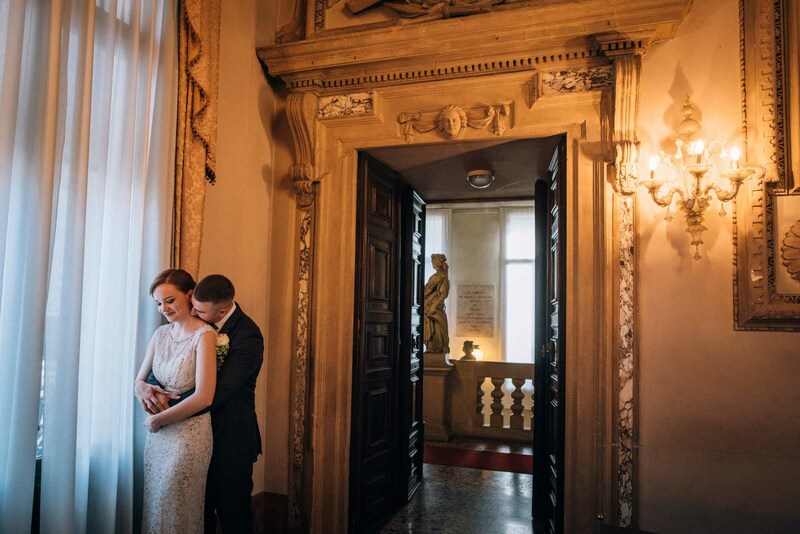 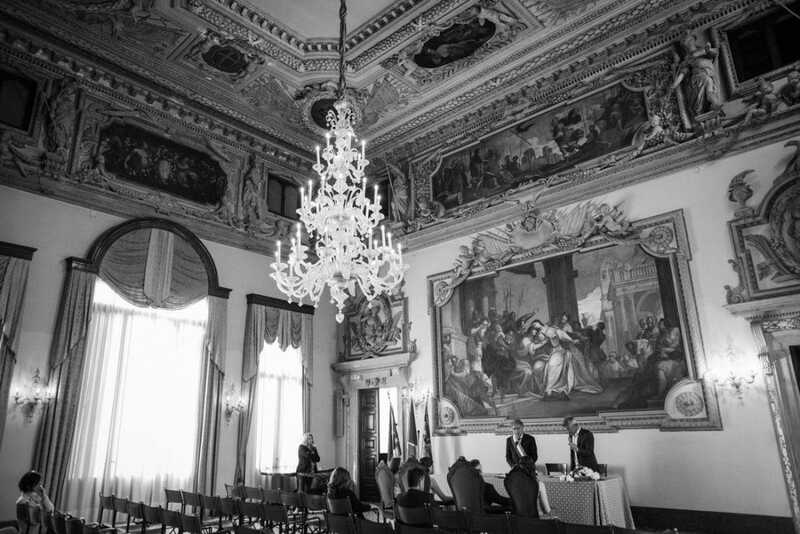 They had their civil wedding celebrated in the amazing frescoed hall of Palazzo Trissino called Sala degli Stucchi. 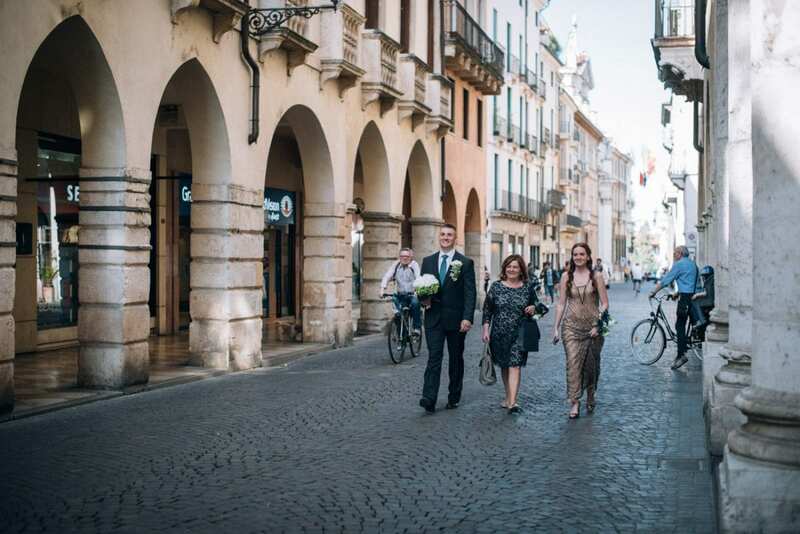 Nick’s mom couldn’t come over to Italy for the wedding, so she saw the whole ceremony via Skype! 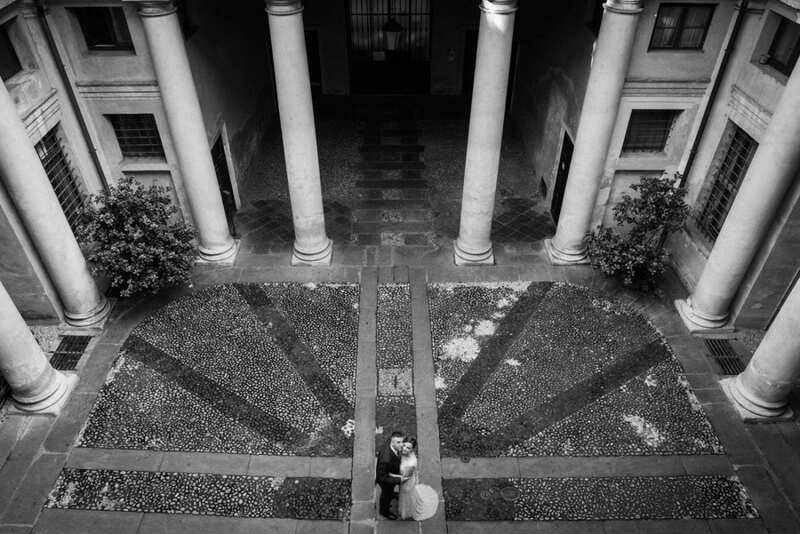 After the ceremony, we had a couple shot in the beautiful Basilica Palladiana, the masterpiece of the architect Andrea Palladio. 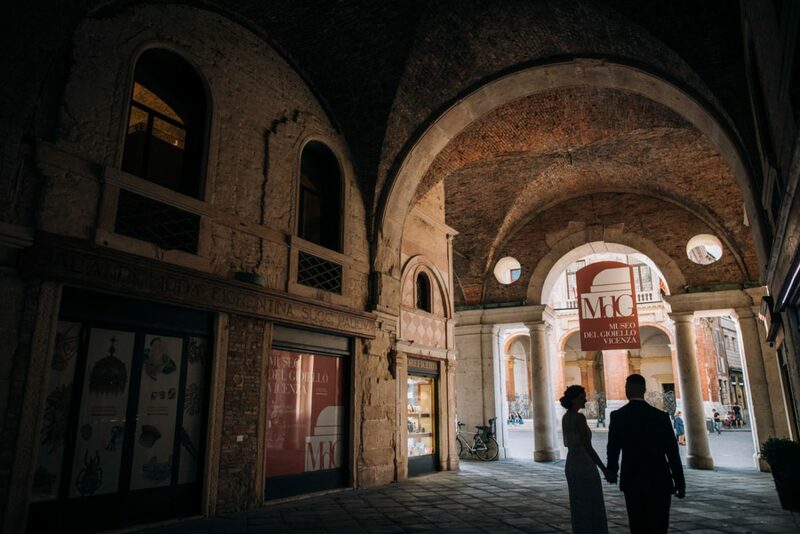 The wedding day took place during the week of Vicenza Jazz, a very famous international music festival that takes place in mid-May. 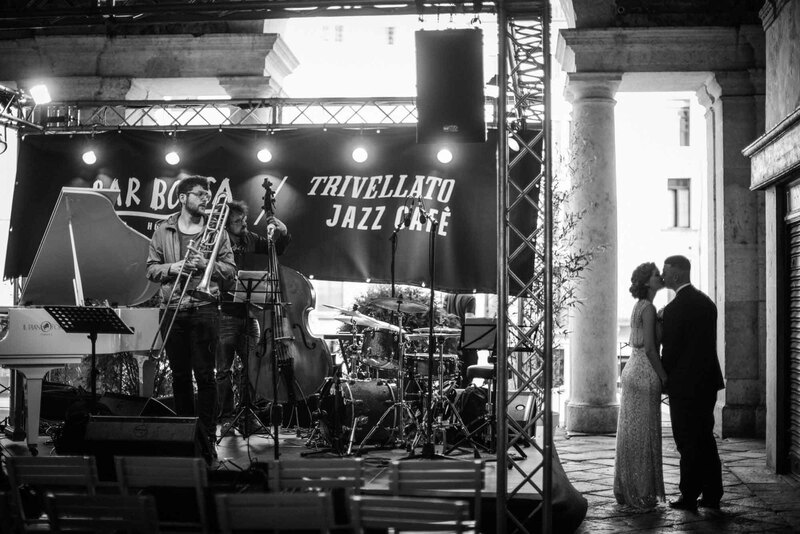 Therefore, musicians were all over the place – they just got the atmosphere even better! 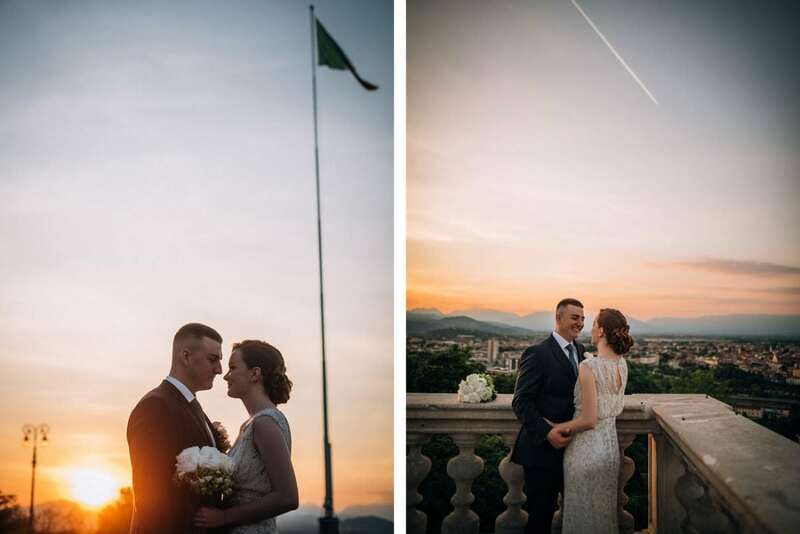 We ended the shooting up to Monte Berico, where you can have a stunning view of the city, even more, glorious in the red hour of the sunset.